The Catholic culture in the United States and in Mexico have many similarities – especially this time of year. The Western European and North American focus on All Saints Day and the days preceding and following it: All Saint’s Eve (Halloween) and All Souls Day. In Mexican Catholic practice, the same three days are called Día de los Muertos, the Day of the Dead. Both cultures challenge us to remember our mortality. 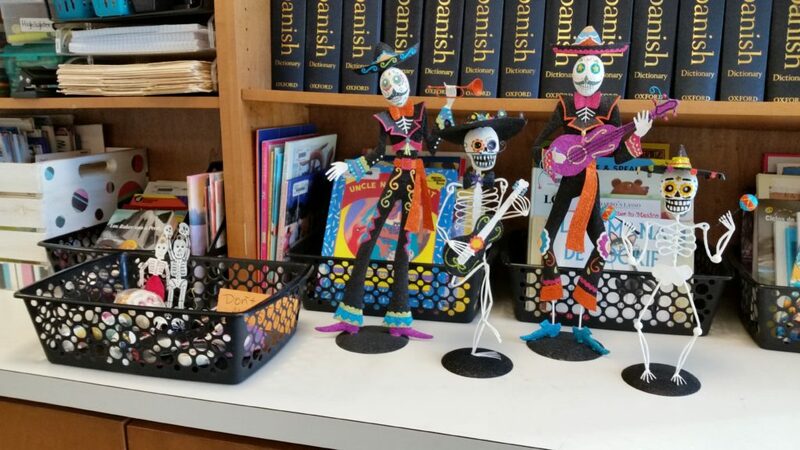 In Senorita Jaclyn Metcalf’s classroom, she set up a small private altar called an ofrenda with candles and food which will be donated to the poor. 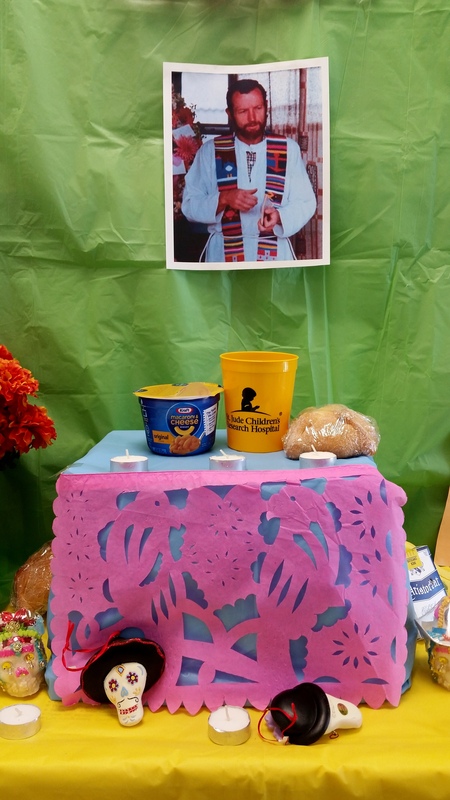 A photo of Blessed Stanley Rother, an Oklahoma priest who was martyred in Guatemala, is placed above the ofrenda. The area at the base of the ofrenda is decorated with candles and small, ornate skulls – another reminder of our mortality. A mariachi band made up of skeletons is a comic take on the same theme. It is common to see parades taking place on the Día de los Muertos. Participants laugh and mock death as they place their faith in Jesus Christ’s promise of eternal life.